Choose the Power Plug Select the power plug attachment for your region. All plug attachments may not be included in the box. Slide the plug attachment onto the power adapter. 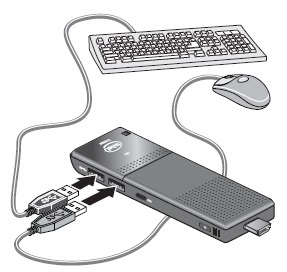 The included power adapter and cable must be used to power the Intel® Compute Stick. Use of any other power adapter, power source, or cable is not supported. USB wired keyboard and mouse, connected to the ports on the Intel Compute Stick. USB wireless keyboard and mouse, using a USB dongle. Follow the instructions that came with the keyboard and mouse to pair them to the Intel Compute Stick’s onboard Bluetooth device. 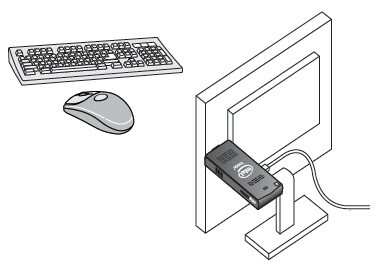 You may need to temporarily connect a wired mouse/keyboard to the Intel Compute Stick in order to pair Bluetooth devices. Note Keyboard and mouse are not included. Find compatible keyboards and mice at the Intel Product Compatibility Tool. 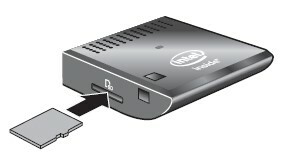 Plug the Intel® Compute Stick directly into a standard HDMI port on a television or monitor. The Intel Compute Stick will extend about 4.5 inches (113mm) out from the HDMI port. 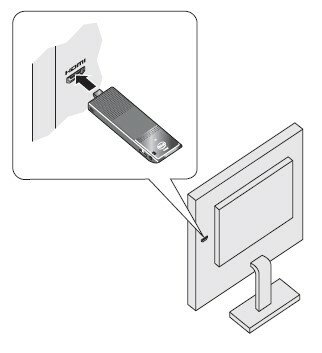 Connect to a Display with the HDMI Extender Cable If there is limited space around the HDMI port of the television or monitor to allow you to plug the Intel® Compute Stick directly into the port, use the flexible HDMI extender cable that came in the box. 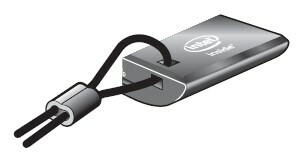 Plug the Intel Compute Stick into the female end of the extender cable (A). 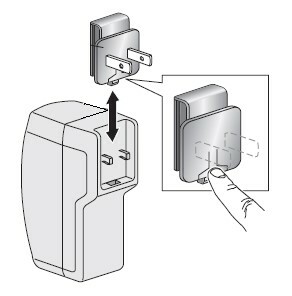 Plug the mail end of the extender cable into the HDMI port on the television or monitor (B). Find compatible televisions and monitors at the Intel Product Compatibility Tool. Plug the power adapter into an AC power source (A). 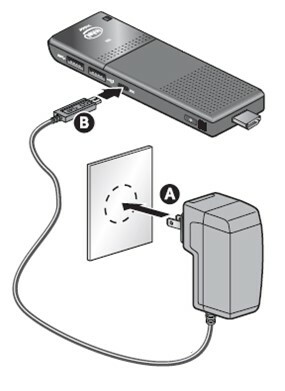 Connect the power cable (B) to the Intel® Compute Stick as shown. 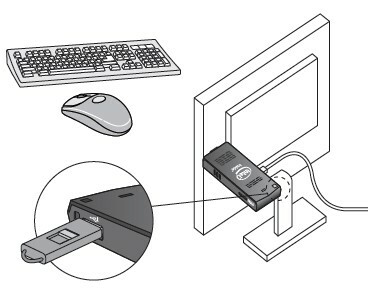 The Intel Compute Stick will boot up automatically when power is applied. Shut down the Intel Compute Stick using the normal shutdown process for Windows*. 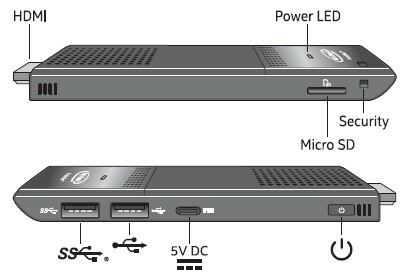 Subsequent power-ups are done just by pressing the power button on the side of the Intel Compute Stick. Note The Intel Compute Stick is designed to use up to 10W of power. 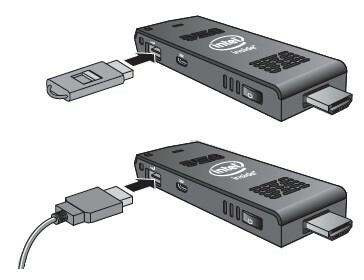 USB ports on televisions or monitors do not supply enough power for the Intel Compute Stick. It does not turn on. It turns on but does not boot. It turns on, but the operating system does not load. It turns on and the operating system loads, but it perform very slowly, reboots, or locks up. Install software from a CD or DVD in a USB optical drive. Back up or access media files (such as music and photos) on an external USB drive. Note USB drive and USB cable are not included. Find compatible USB devices at the Intel Product Compatibility Tool. 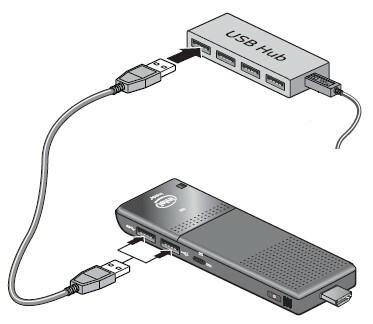 Connecting a USB hub to the Intel® Compute Stick provides additional USB ports. We recommend you use only powered USB hubs. Note USB Hub and USB cable are not included. Find compatible USB hubs at the Intel Product Compatibility Tool. The Intel® Compute Stick supports MicroSD card sizes from 8 GB to 128 GB. Note MicroSD card is not included. Find compatible microSD cards at the Intel Product Compatibility Tool. 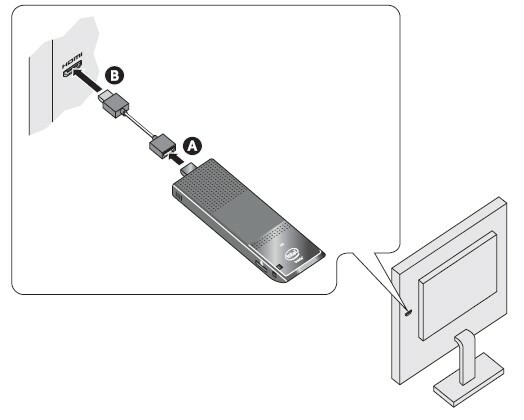 Install a security cable loop in the security opening on the edge of the Intel® Compute Stick. The security opening is 3 mm x 3 mm. Note Security cable loop is not included. 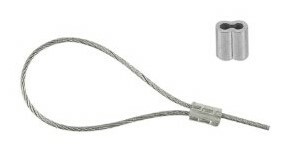 You can build one—insert a length of quality wire rope (<3mm) through the security opening and then crimp the ends together with a cable sleeve. The latest BIOS updates are available on Download Center. Refer to BIOS Update Instructions for information on updating the Intel® Compute Stick’s BIOS. Graphics, wireless, and Bluetooth* drivers are available on Download Center. HDMI audio drivers are included in the graphics driver package. Windows Updates* may install driver updates automatically.